Time until Total Carnage release day! 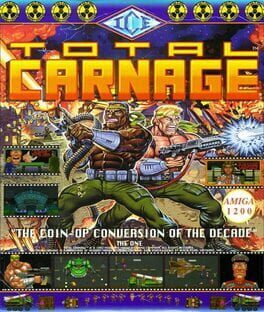 The names of the two player characters are Captain Carnage and Major Mayhem. Blast your way through the Baby Milk Factory and fight Orcus, the Mother of All Bosses. Collect keys to enter the Pleasure Domes. Many special weapons and secret areas.